Kevin and his lovely wife Chasity have been happily married since June 7, 1997. Kevin and Chasity both grew up in Giles County, TN. Chasity was saved as a child at WBC and Kevin came to be a part of the church as a result of his marriage to her. After confessing faith in Christ as Lord in 1998, Kevin began in the ministry at Wales as the worship leader. In 2002, he continued to lead worship at Wales as well as surrendering to the call of evangelism. He and Chasity traveled for 10 years evangelizing and leading revivals for various churches across Tennessee and Alabama. Finally, in May of 2010, God called him to be the Pastor of his home church family at WBC. Kevin's ministry as Pastor at Wales is focused on teaching God's primary goal in mankind, namely, becoming the reflection of God's glory by being conformed to the image of Christ (Romans 8:29, Ephesians 4:13). He believes this transformation takes place by continually growing in our knowledge of Christ's perfections, gazing at them, and allowing the power of God's Spirit to transform our ways into His ways (2 Corinthians 3:18). Theologically, his ministry influence comes heavily from the ministry of John Piper who teaches that: "God exists in order to display God, in order to make God known for the enjoyment of His people. So, the ultimate purpose of my existence and your existence is to know God and delight in God and thus display God. God has chosen to go public with His glory in the creation of the universe. So, it seems to me that fundamental to our motives should be God's motives, and that's the display of God". ​Nick King is the Associate Pastor at WBC, leads the AWANA ministry as commander, and also leads a marriage ministry. Nick and his wife Amanda have been happily married since June 27, 1998. Nick and Amanda both grew up in Giles County, TN. Nick began his church attendance at Wales at an early age, and received Christ as Lord and Savior there in January 2002. Amanda was saved at the age of 15 at her home church, Fall River United Methodist, but moved her membership to Wales in January of 2002 in order to attend with her husband. After receiving Christ as Lord of his life, Nick quickly felt the call to minister. He began his ministry as the youth leader at Wales. 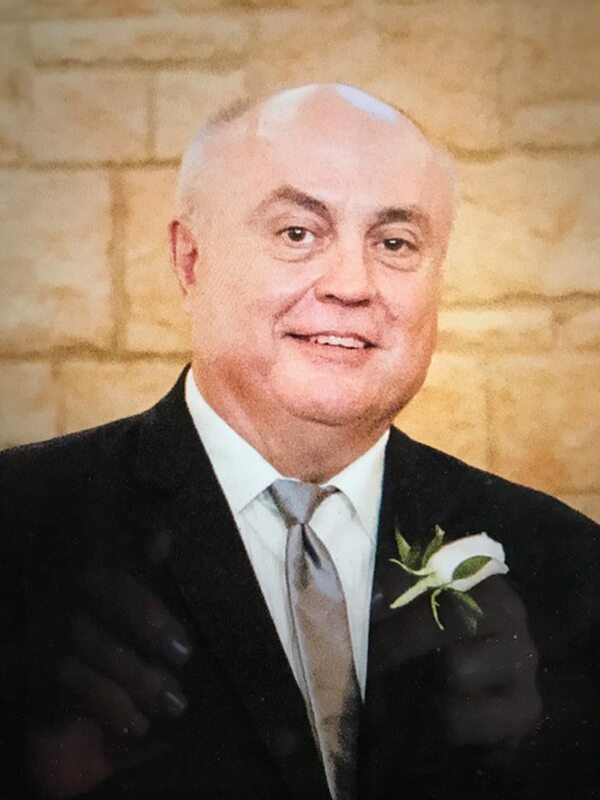 He served in that position until March of 2003, when he was called by God to become the pastor of Gum Springs Baptist Church in Lawrenceburg, TN. He served as pastor there for an amazing 8 months. He and Amanda then returned to Wales and served there as members until Nick was called to pastor another church, New Hope Baptist Church in Leoma, TN. He was pastor there from 2004 until 2006. After the two years of service, Nick and Amanda again returned to Wales to serve as members. Shortly, after returning to Wales, Nick received the calling from God to become the pastor. Nick served as pastor of Wales Baptist Church from 2007 until 2009. He again followed God's lead and stepped down as pastor and again became a willing servant. In 2012, under the leadership of Pastor Kevin, Nick accepted the position of associate pastor for Wales. Nick wholeheartedly considers himself blessed to be a servant and a leader to the people of Wales Baptist Church. Nick's ministry at Wales focuses on being a support for our Senior Pastor, Kevin Wells. He, like Bro. Kevin, wants to teach God's primary goal in becoming a reflection of God's glory by being conformed to the image of Christ. Nick takes great pride in ministering to marriages and keeping couples focused on God's purpose in their lives, as well as ministering to the children thru our AWANA program. As he allows God to work thru him, Nick feels it all comes full circle. As we teach the parents, and all adults alike, to continually love each other and show that love to the children; the children then grow up to be as the example the parents and other adults have given them, and they pass that on to the next generation. Everyone's ultimate goal is to be like Christ! Ronny Lee is the Youth Pastor here at Wales Baptist Church. Ronny accepted this position in 2006 and has been disciplining and mentoring youth every day since. He is a man on a mission! Ronny also runs a business here in Pulaski, Shelter Insurance. He has been an agent at Shelter for 24 years. He and Letha have been married since July 18th, 1992 and are blessed with three wonderful daughters (Savannah, Maggie and Mary Taylor). One of Ronny’s many gifts is his ability to relate and communicate with young people. God had always placed Ronny in numerous positions that involved young people. Before salvation and a life lived for Christ, God had been preparing Ronny many years for the job he was created for, that of youth pastor. At MTSU, Ronny was a probation officer for juveniles. He then became a counselor at Deer Valley and eventually at Peninsula Village, a wilderness program for teenage drug addicts. There he lived, counseled and walked these youth through the biggest fight of their lives.